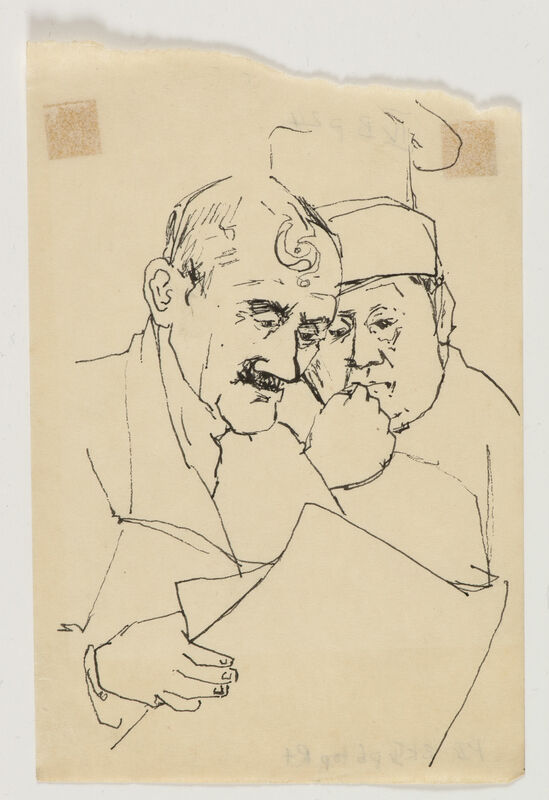 description A double, head-and-shoulders portrait line drawing of a chef and a fellow, male Lyons Corner House kitchen worker, reading a newspaper with close attention. 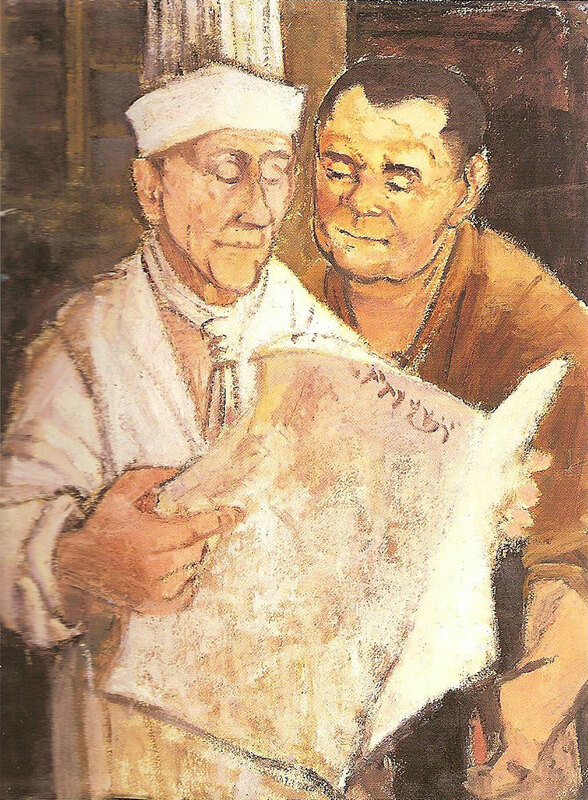 The artist has closely cropped the image to focus on the men's faces and expressions as they read. A similar composition can be found in the oil 'Workers' Tea Break'. literature 'Eva Frankfurther: People', with an Appreciation by M. Levy, (London: Gilchrist Studios, 1962), illus., p. 27; ed., B. Planskoy, 'Eva Frankfurther 1930-1959: Paintings, lithographs and drawings' (London: Peter Halban, 2001), illus. p. 22.